You can see whether running, cross-country running and marathon. 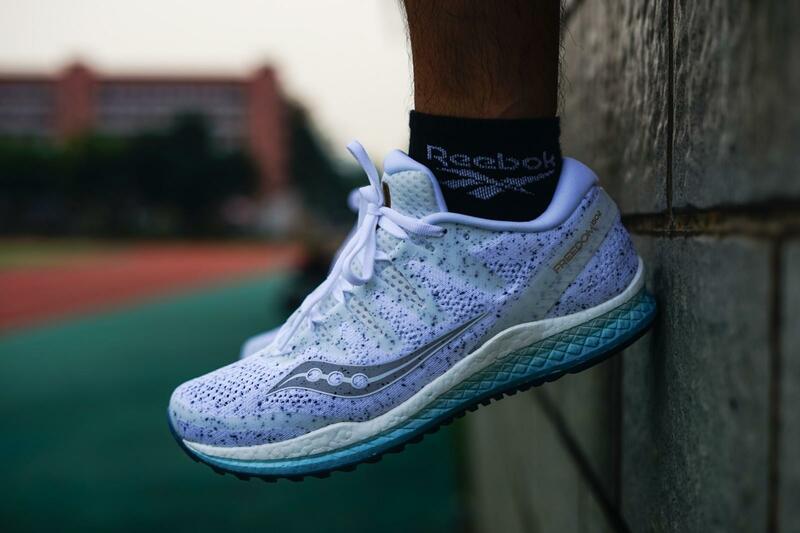 It has the brand of Ride, Hurricane, Kinvara running shoes, which professional providing a good running experience for all kinds of runners. 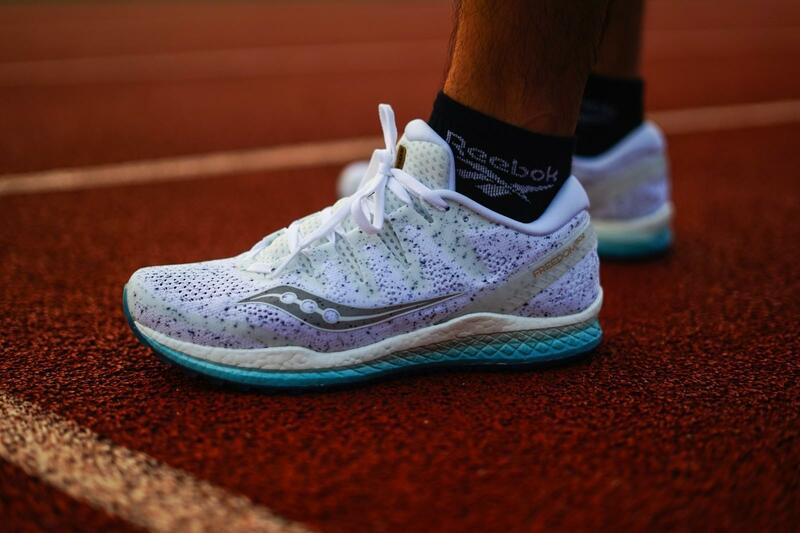 The Saucony Freedom ISO 2 has been the most popular running shoes has been released. 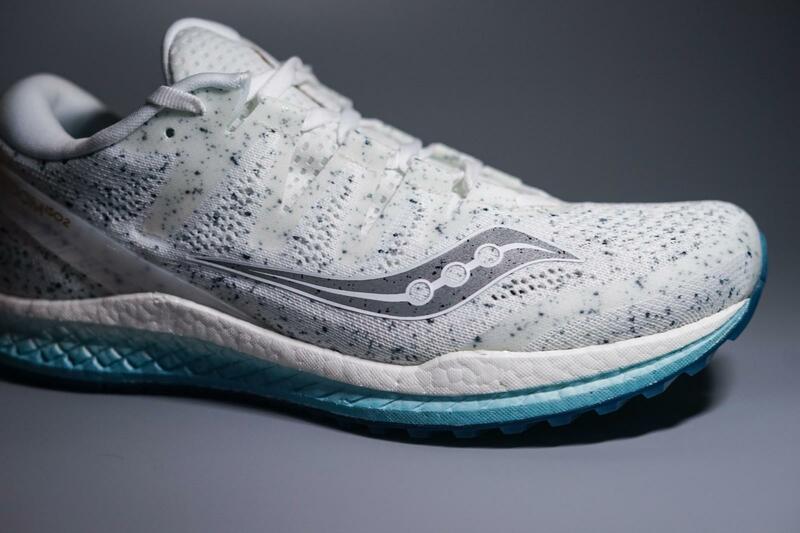 The series of Freedom ISO was released by Saucony at the end of 2016. 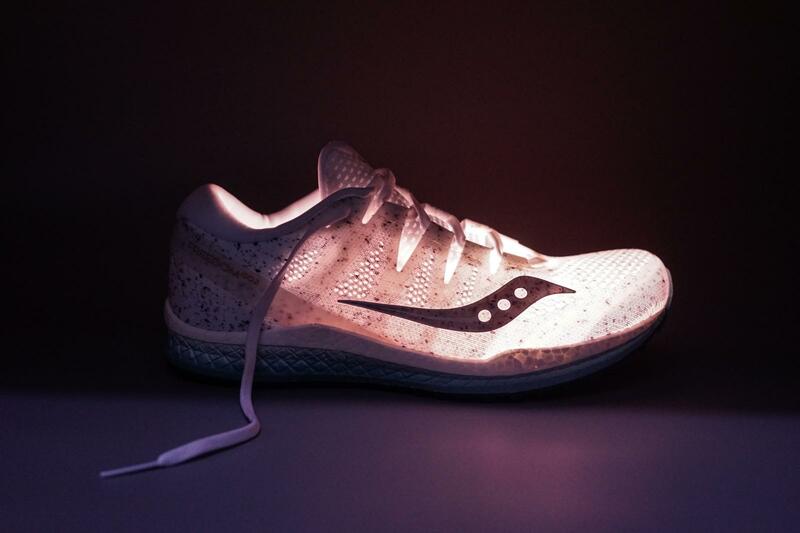 After that, it was favored by many runners, so Saucony wanted to iterate. 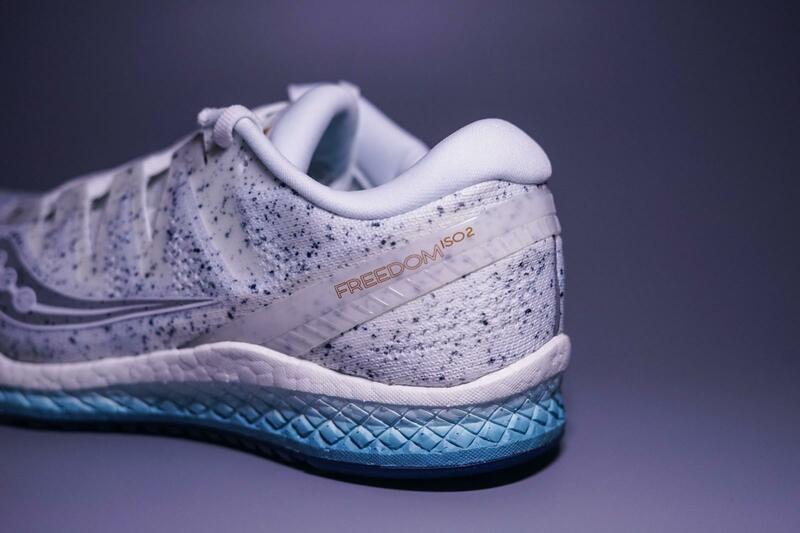 Freedom ISO 2 become the flagship cushioning running shoe. 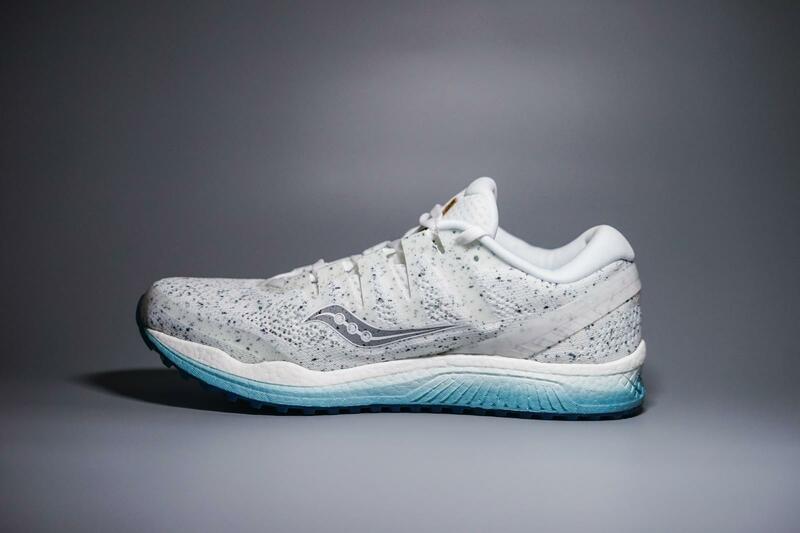 The Saucony Freedom ISO 2 comes to the training table with changes focused on more secure support and stability for what in version 1 was a pretty wild and hard to tame ride for many. It doesn’t look like the Kayano and Nimbus which more heavy . Personally, the color that you get should be better compare with other shoes .it is look simply but the clear .The Freedom has always been a shoe offered in bright colorways and that trend appears to be continued. Freedom ISO 2 has a new ISOKNIT upper with more substantial midfoot support and redesigned ISOFIT foot wrapping bands. The upper is a thing of beauty and has a far more natural, molded fit and now also includes a padded tongue and a more substantial heel wrapping Support Frame in this heel counter free shoe. 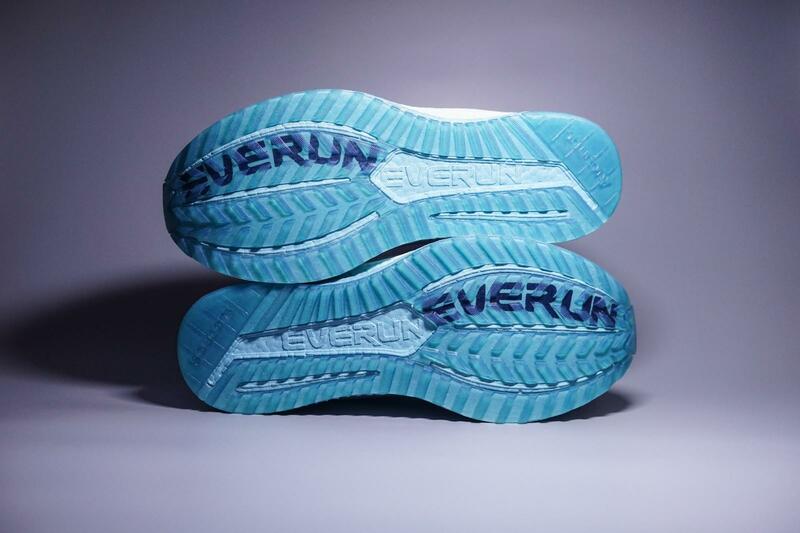 The stack height of the shoe has been raised by 3mm indicating a small increase in the amount of EVERUN in the midsole. 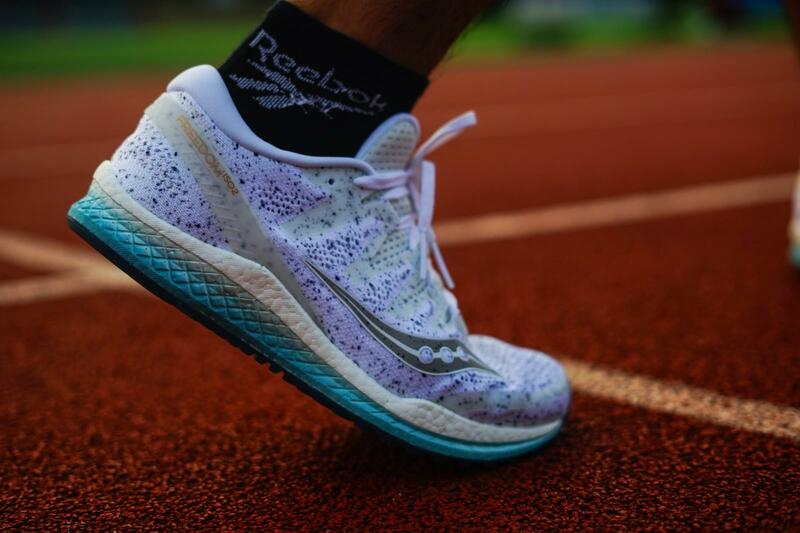 In addition to improved upper support, the midsole has higher sculpted midsole sidewalls to better hold the foot and improve overall stability when transitioning from heel to toe, a big issue for many in version 1. The material of logo and transparent material on the side of the upper enhance the support and wrapping ability of the upper to a certain extent. In addition, the transparent material can provide the the durability of the toe parts, and this kind of material can protect the feet well. The shoe’s shoelace holes are also used a similar transparent helt welded fuse material. In general, this material can increase durability without carrying weight. The tongue part of the shoe is actually a “semi-inner boot” design. that is SOFIT . This upper wrapping system covers areas other than the toes, and the entire “semi-boots” is made of ergonomic mesh material. To be frank, on the first run if I was not told that the shoe on my foot was a different version of the Freedom, I’m not sure I would have noticed the difference. Performance engineered ISOKNIT gives you support, breathability, and freedom of movement, so nothing can hold you back. The heel of the shoe is reinforced with the Support Frame to give the heel a better stability. 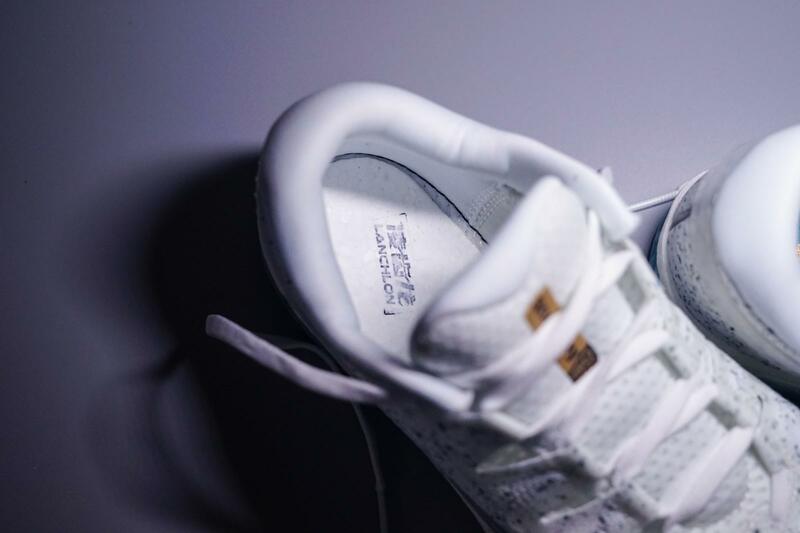 The white TPU is printed with the golden “FREEDOM ISO 2” lettering, which looks extraordinarily refined. This is one of the reasons why I prefer this color. The entire heel fits snugly to provide sufficient stability but does not hold the heel well. 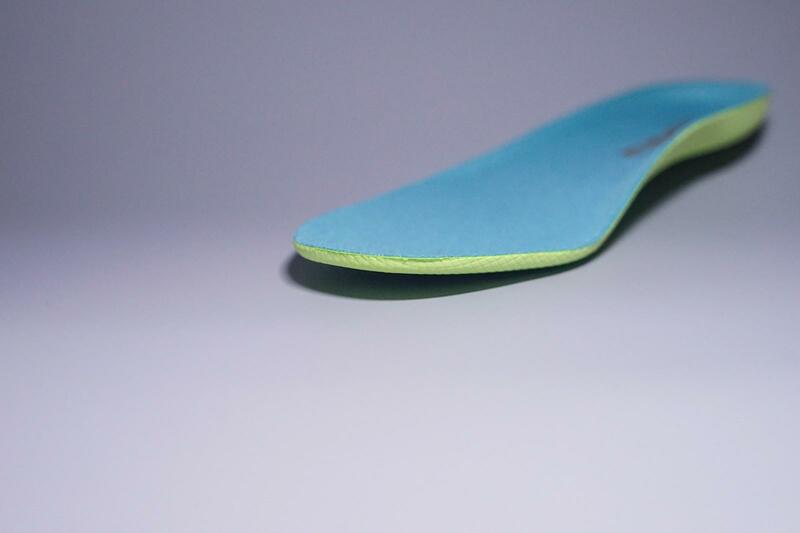 The insole is soft .A lower toe spring and higher stack height makes for a less aggressive shoe. ISOknit, similar to any other companies full knit upper, is breathable, soft and comfortable. The shoes made of full length EVERUN material . The thickness of the whole midsole is about 2.5cm. I can felt more responsive when I on the foot . The soft rebound of this cushioning is from the material which give your feet a sense of solidity. 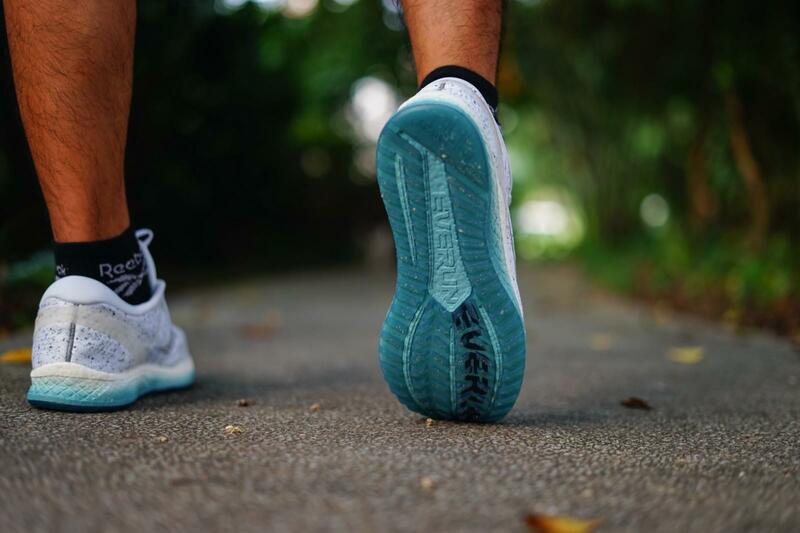 The feeling of softness and looseness compared to Boost,but it is different .Nike’s React material is cushioned and soft; yet firm and snappy at the same time.Durable beyond belief and very lightweight for the amount of cushioning. Each of these materials differ slightly but the full block of EVERUN itself works very well in the Freedom. 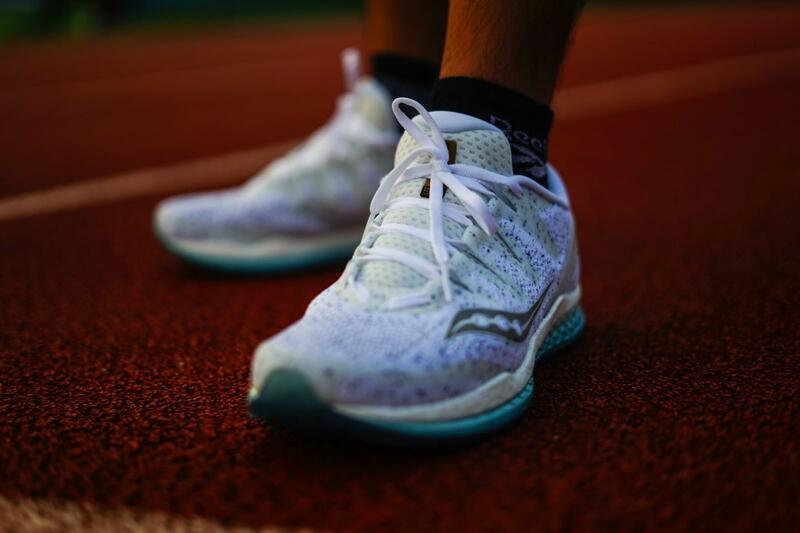 Another feature of VERUN cushioning material is lightweight. The official weight of EUR Size 42 just 258g. This kind of weight running shoes can have such a strong cushioning and wrapping . 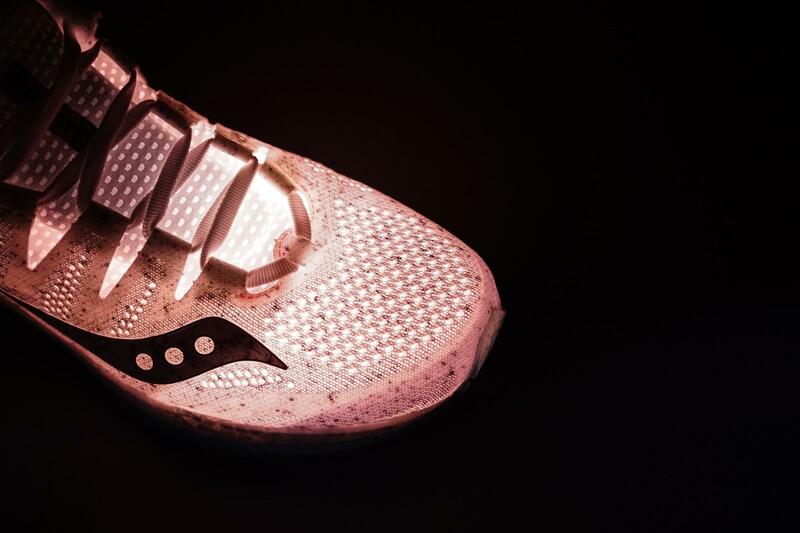 Just like its name, it can give runners a foot strap. Go to freedom. 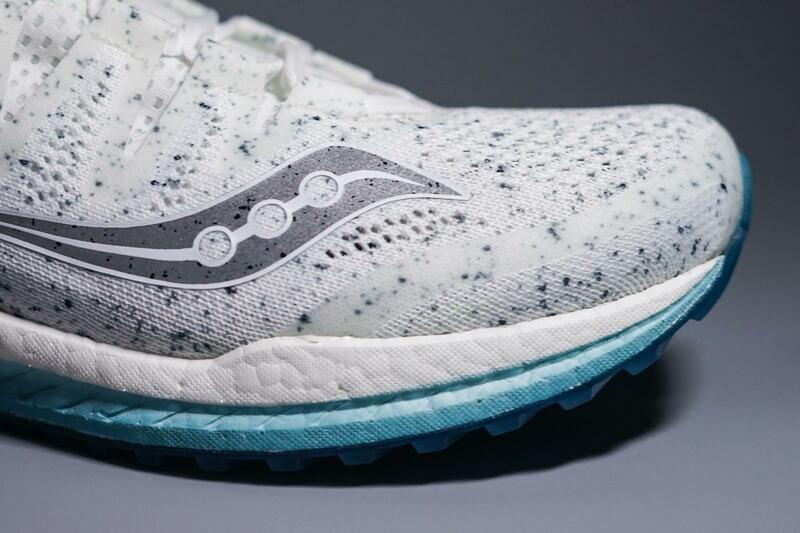 The entire gradient midsole with the splashed upper makes the shoes look a bit like mints. The disadvantage of the midsole is that the gradient part close to the outsole is easier to wear off. After running for two nights, you can see that the middle palm and the forefoot are a bit worn away. 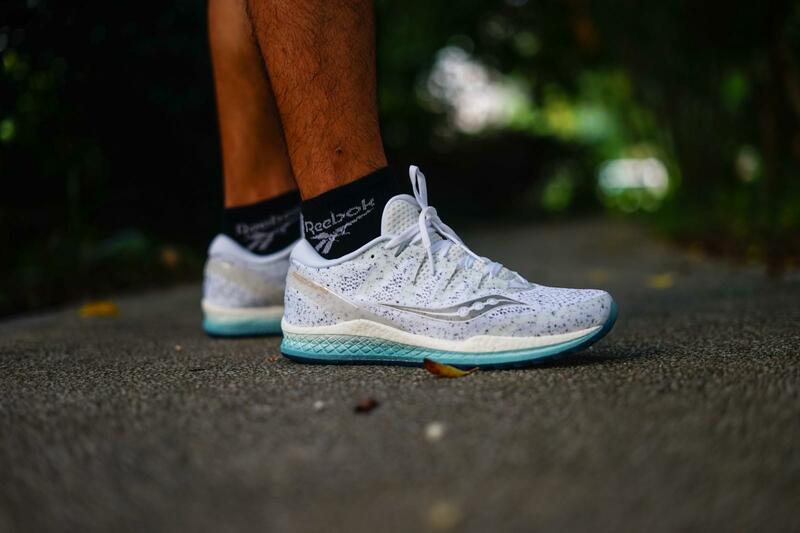 Saucony Freedom ISO, had a full length crystallized rubber outsole which provided durability, a striking look, but maybe one of the only drawbacks of the shoe. 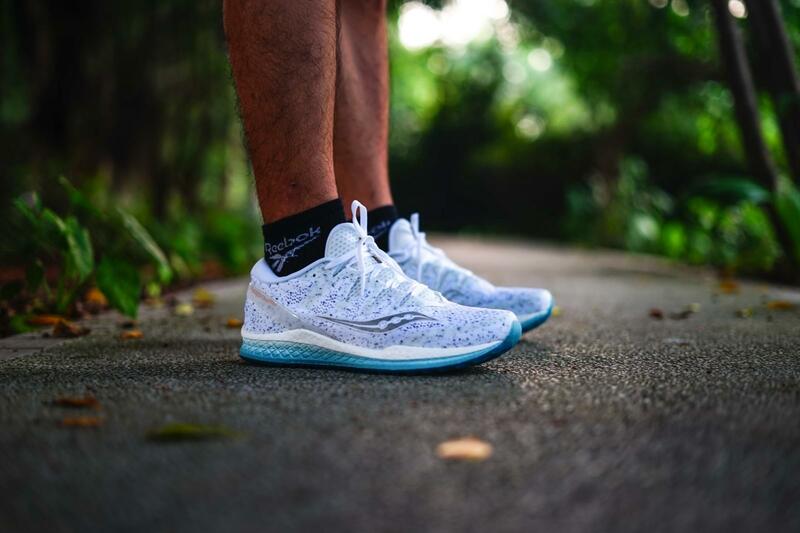 The shoes have a good grip on any kind of road, such as the plastic road or concrete road.and in terms of wear resistance, it runs about 10km on the plastic track for two days, and the pattern of the outsole is hardly worn. 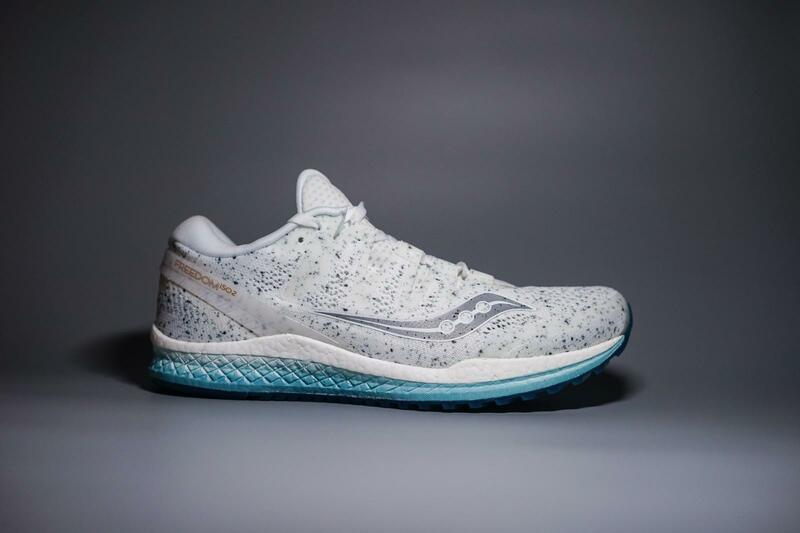 I believe its outsole should be able to Run a 42km marathon.The full length outsole had a slight effect on flexibility and could make the shoe feel “bottom-heavy” meaning too much weight distributed to the very bottom of the shoe. Overall，whenever and wherever. 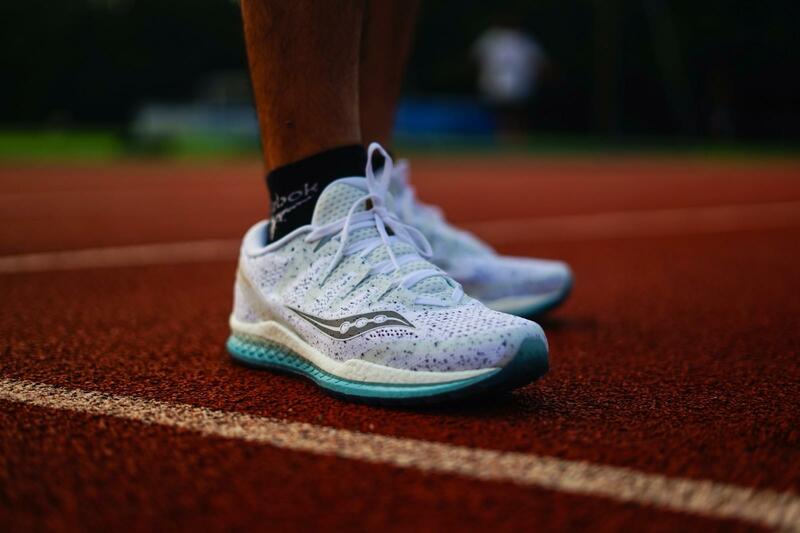 That’s how you feel in the Freedom ISO 2,with a full length EVERUN midsole, crystallized rubber outsole, and ISOFIT upper.that is amazing.Thanks to EVERUN™ cushioning and the debut of ISOKNIT. 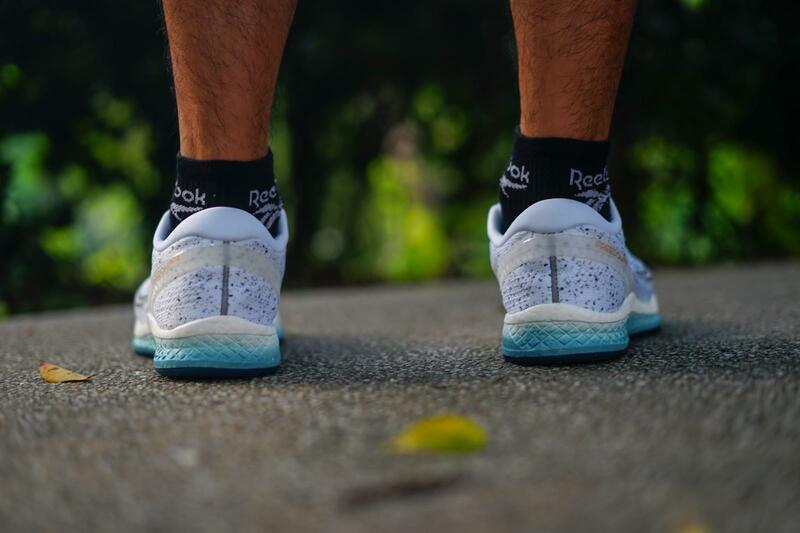 It takes the great sock-like feel of ISOFIT and combines it with an engineered performance knit—giving you support, breathability, and freedom of movement, so nothing can hold you back.